Witch Bolt, A Double Knit Hat – Coming Soon! Test knitters still needed for this double knit hat pattern! 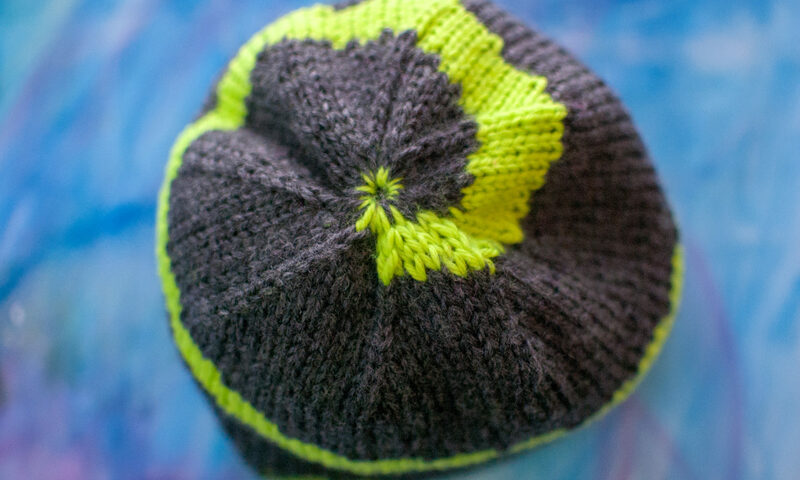 If you’re up for a challenge, I need one more knitter who is available to knit this hat by the 26th of March. Okay, that’s not exactly how fight with a beholder would go, but we all know this is really about knitting. Witch Bolt is a Dungeons & Dragons-inspired double knit hat pattern. You knit it up using two colors and when you’re done, it’s magically reversible! Just kidding, there’s no magic here, just your awesome knitting. In the pattern, I have explained in detail how to double knit stockinette and ribbing, as well as how to decrease while double knitting. If you’re new to double knitting, it can be a great way to get cozy with the method as the color pattern requires very little thought! Witch Bolt is set to release on March 30th on its own and also in a new Dungeons & Dragons-inspired hat bundle on Ravelry!